Whether you are throwing a birthday party or grabbing some drinks after work, get to Up & Above in Sindhi Colony, a bar that spreads across two floors. This place has a lot of natural light coming in during daytime and is ideal when you just want to have conversations and good food, followed by a drink or two. But it gets livelier on evenings as it has the real vibe of a bar. 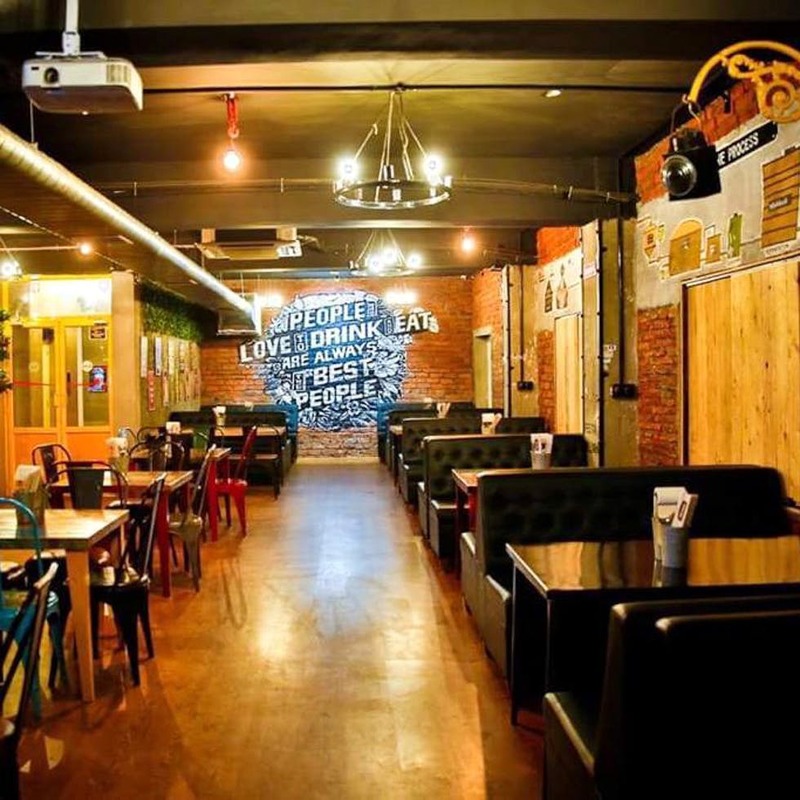 Cosy seating in a dimly lit room, done up with open brick walls, vintage stamps, posters, doodles and colourful helmets for a rather quirky ambience is what you'll get at the indoor seating, while there is also a rooftop if that's what you're looking for. Their menu has diverse food for your mood, be it Chinese, Continental or Indian. We also love the finger food here. Munch on Pepper Chicken, Honey Chilli Potato, Crispy Corn while you unwind with a drink of your choice. They've got beer, whiskey, rum, tequila shots, wine (all the standard stuff), along with cocktails and martinis. Their 99 menu is killer, we're telling you! We got ourselves some Masala Fries with generous amount of masala sprinkled on them, and could easily fill two hungry tummies. Following this, we ordered a BBQ Paneer Pizza (for mere INR 199), the paneer on which was grilled to be a tad bit crispy and a lot spicy. It isn't extraordinary, but certainly filling and worth more than what you pay for. So, for days when you don't want to burn your pockets but are craving some fun, food, and drinks, this is where you must head to. The music could be a little too loud sometimes.